A campaign to change the name of the A1 to the M1 has been launched. The Director of the Institution of Civil Engineers in Yorkshire and the Humber has welcomed calls to rename the road, following the completion of the Government’s planned upgrades. 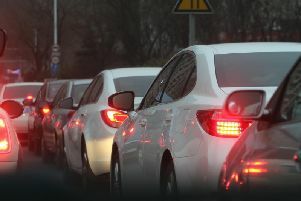 Campaigners demanding the name of the A1 to be changed to the M1 believe it would help businesses in the region by highlighting the region’s connection to key markets. The upgrades, which are part of a £700 million investment in the A1 will see sections of the A1 south of Newcastle, including long stretches in Yorkshire, that are currently dual carriageway upgraded to a continuous, unbroken motorway. Penny Marshall, Director of ICE Yorkshire and Humber, said “Renaming the A1, following the completion of the upgrades, could raise the profile of the region. Whatever its name the creation of a direct motorway link to London will improve our connectivity to the rest of the UK and potentially bring growth to Yorkshire and the Humber. It is not clear what the existing M1 between London and Leeds would be called under the campaign.